Why do we teach our children history? Is it to help them become culturally literate? To give them a sense of perspective on where the human race stands now? To give them greater tolerance of societies different from their own? Because we want them to learn from the mistakes of the past? Perhaps. But most of all, history is a rich source of exciting stories from around the world. Stories I love sharing with my children. Stories that spark fun projects and inspire all kinds of learning. Over the last two years we’ve used The Story of the World (volumes 1 and 2) as our guidebooks through ancient and medieval history. * We wrote hieroglyphic messages for each other when we learned about Ancient Egypt. * We learned about blowing and colouring glass with the Phoenicians. “You stink like a man from Tyre!” is still one of J(8)’s favourite insults. * We built our own Stonehenge and Celtic Roundhouse. * We painted Chinese characters and learned about the Great Wall, the Terracotta Army and the story of the Chinese calendar when we visited China. * When we learned about Japan, we discovered how to distinguish between Chinese, Japanese and Korean writing. And thanks to Japan’s location on the Ring of Fire we were inspired to investigate plate tectonics. The first year we based our history curriculum around The Story of the World, I bought into the whole classical education schedule and felt we had to finish ancient history within the year. Then I had the epiphany (duh!) that we didn’t have to finish SOTW Volume 2 in a year. So we’ve had plenty of time to dig deep into other cultures. Geography – Learning about the rise and fall of great empires paints a vivid picture of where each country is in relation to its neighbours and the rest of the world. 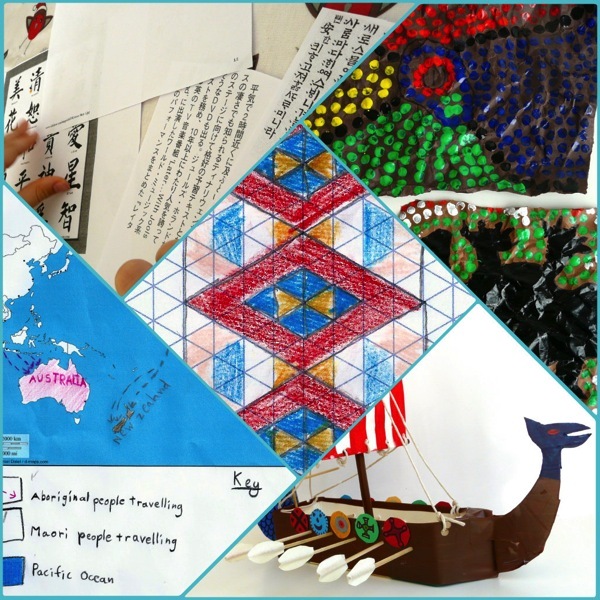 Maths – When we studied the Maori last year we used isometric graph paper to make geometric Taniko designs. We might do something similar for Turkish rugs when we look at the Ottoman Empire next year. Art – One of our favourite projects last year was Aboriginal dot-painting. We also enjoyed Japanese ink-wash painting. When we study Russia in September, we might create art inspired by colourful Russian architecture. This list shows my personal bias for learning about other cultures and filling gaps in my own knowledge. But I’m also excited about sharing with C(9) and J(8) the great stories of Joan of Arc, Martin Luther, Henry VIII, Shakespeare, Elizabeth I, the Spanish Armada and Sir Walter Raleigh. Next year I’m taking another step towards unschooling and giving the children much more freedom to decide what they want to learn. So if they don’t want to listen to me read from The Story of the World or do any activities I suggest, that’s okay. I suspect that mostly they will join me. If not, I’ll do them myself! An almost-unschooling style will also make space for the children’s interests. He nearly jumped out of the bath when I said yes. 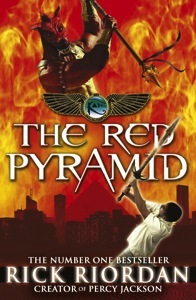 Sounds like we may be revisiting Ancient Egypt! Why do you teach your children history? 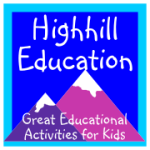 I’m joining Highhill Homeschool’s history lesson-planning link-up. I am saving this post for next year because I want to use some of the activities you have done. We don’t do SOW, but we are going to be doing Ancients next year. I like your almost-unschooling history studies idea. Thank you Phyllis. I am saving your recent posts for when we study modern history, too. Your history curriculum sounds very similar to ours over the past two year. It’s great your kids are so excited about learning and I look forward to reading about your projects. Likewise, Julie. Thanks for hosting the link-up. The evolution of your history curriculum is very similar to mine, ie from strict adherence of SOTW1 schedule to a much looser structure. Looks like you guys are going to have a very interesting time studying history come September. I’m looking forward to reading about them. I love the travel photos. 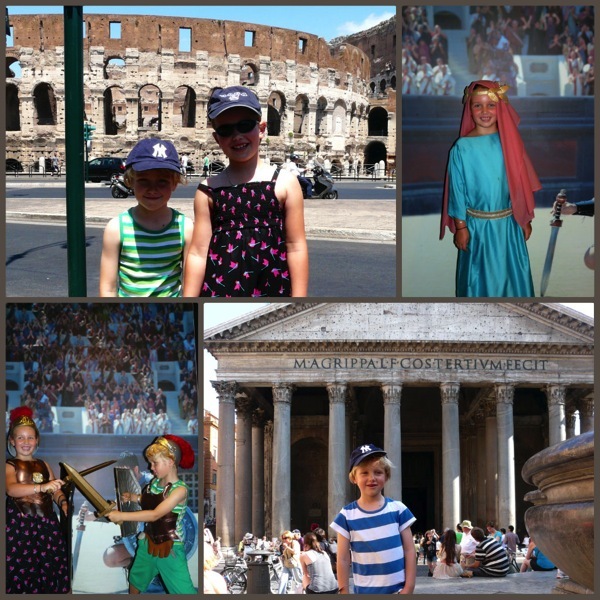 It’s great that your children visited those places. What a fantastic opportunity! We’re so lucky to have so much culture on our doorstep, aren’t we? I’m looking forward to reading what you do, too – it’s always inspiring! I am glad you left me a comment leading me here. I am excited to take some time to explore your blog! I can’t wait to see what you guys do this year. Thanks, Jennifer! I’m looking forward to following your blog too! I really look forward to seeing how unschooling pans out. It is so exciting watching your home school develop over time! Me too … it’s a bit scary and I have a feeling real unschoolers would scoff at my description, but I’m feeling my way as I go…! When Jeff and I went to London for our honeymoon, we joked you can find all of the ancient world in the British Museum. Yes I guess it’s rather a dubious aspect of Britain’s history, but it means we do have good museums! Reading this makes me antsy about how much incredible history and cultural exploration there is to be had, with kids and for oneself. (sometimes I feel hemmed in by my own restrictions of one culture a year 🙂 but we never have time to do everything I wanted to within that!) Don’t you just love learning alongside your kids? Whenever I read your blog I yearn for the time to really dig deep into another culture. Your children are getting a really special experience and I’m sure they’ll be inspired to continue the adventure long after homeschooling days are gone. I love how you refer to history as STORIES. Too often, I think, history becomes simply the memorization of dates, people’s names and events when it’s SO MUCH MORE than that. What’s fun about memorizing dates? We’ve also done SOTW 1 and 2, but decided this year to break and do U.S. History. (Personally I enjoy it more. LOL) We’re going to watch videos on NROC, do mapwork on a 3 foot x 3 foot map, cook around the states (ex. deep dish pizza, IL, or Boston Baked Beans, MA). Your history plans sound like fun. I know very little about US history – I’m really looking forward to learning about it with my kids over the next few years. Is your 3 x 3 ft map an outline map? I’d love a big outline map to work on.